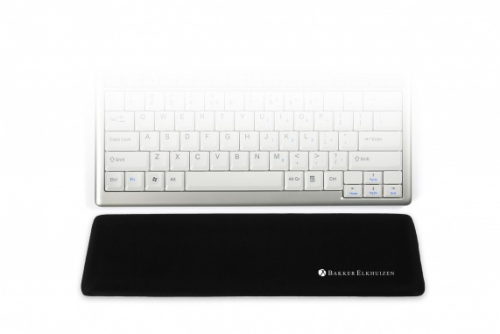 Trapezium Wrist Rest Compact 13"
A too soft wrist rest can result in fixation of the wrist, which in turn results in even greater muscle strain. 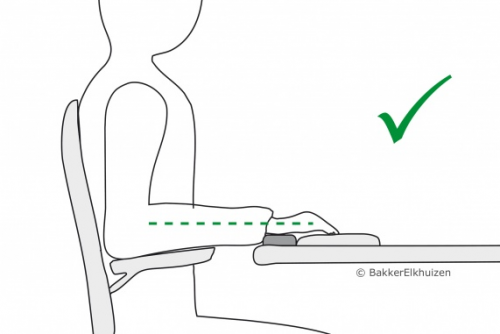 Holding one's wrist at the right height is important, it must be kept as level as possible with the keyboard. This keeps the wrist posture most neutral. When working with a keyboard and mouse it is important that the arm is sufficiently supported. This can be doneby using a good armrest on the desk chair or a separate armrest. A armrest reduces muscle tension in one's armand shoulder and promotes comfort. A wrist support helps to keep the wrist straight during typing and can be used to rest` for a moment during one's work.